Our portable dust extractors offer market leading ventilation and can help to achieve efficiencies of up to 99.99%. Efficient dust extraction makes for a far safer working environment with improved visibility, which can vastly improve blast quality and decrease wear on equipment. Airblast Eurospray has spent many years researching the optimum means of moving dust and used abrasive through the blast room and out into the dust extractor. We believe that proper ventilation is one of the keys to superior blasting. Our portable dust extractors are some of the most advanced systems available on the market today, and provide superior levels of dust extraction for a clearer, safer, and more efficient blasting operation. 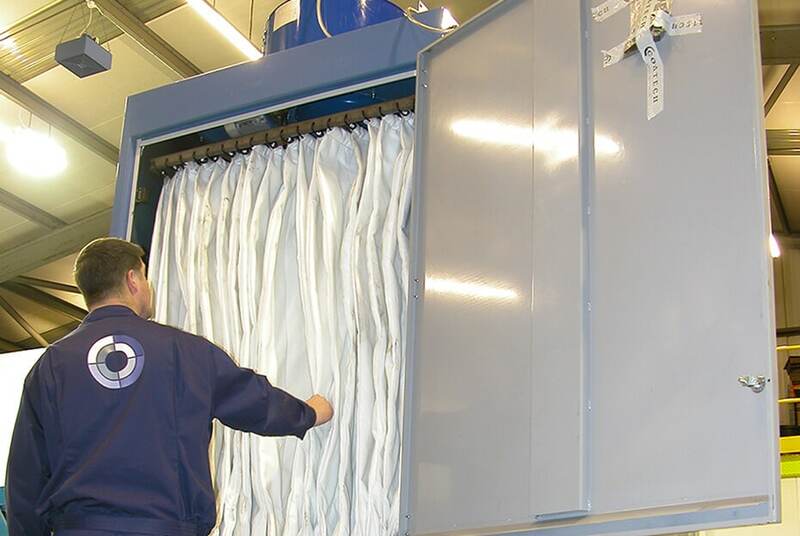 We will always try to ensure that the dust extractor matches your requirements by taking into account the volume of air pumped into the system, the size of chamber, and the media type you require. 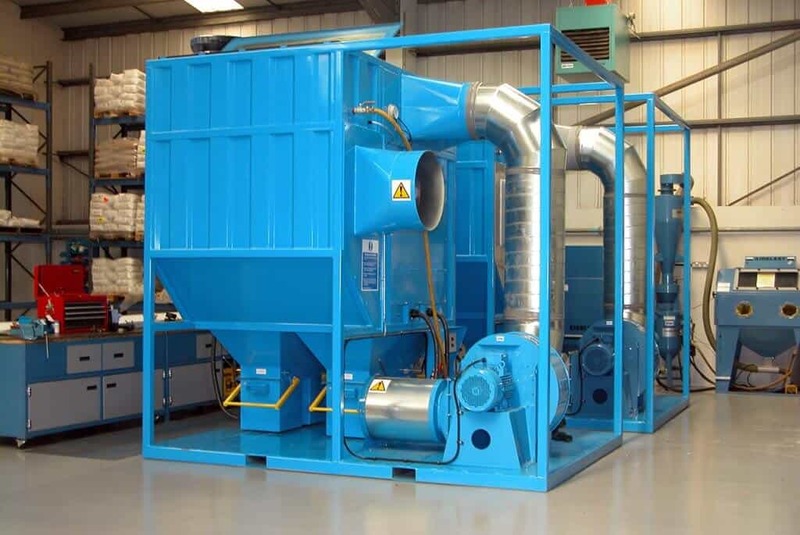 We offer large portable dust extractors based on our Air Pulse Cartridge Collector with adaptations to suit site conditions. This robust portable extractor is equipped for continuous running, thanks to its manual reverse compressed air pulse filter cleaning system which prevents dust caking on the cartridge filter. The extractor is also fitted with four collection bins, which can be emptied whilst the collector is still in operation. 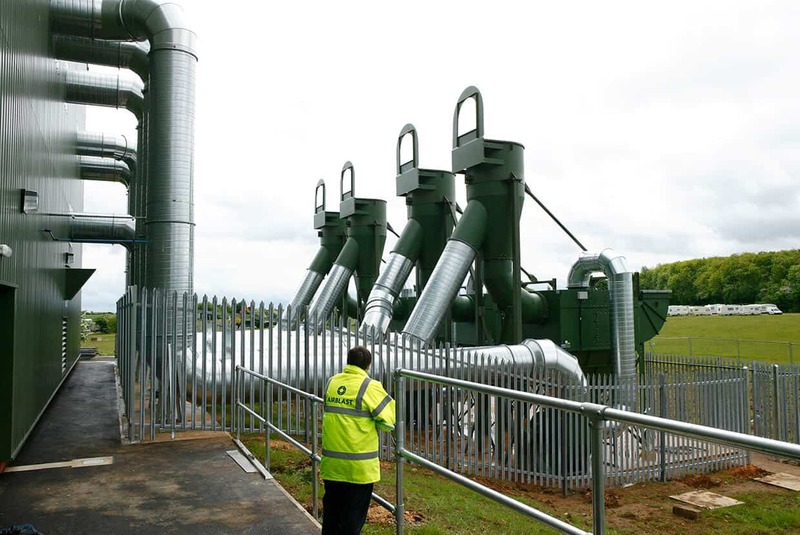 The system is ideal for site work, as the floor-mounted fan has a higher pressure rating that allows it to overcome resistance caused by flexible ducts commonly used on site applications. 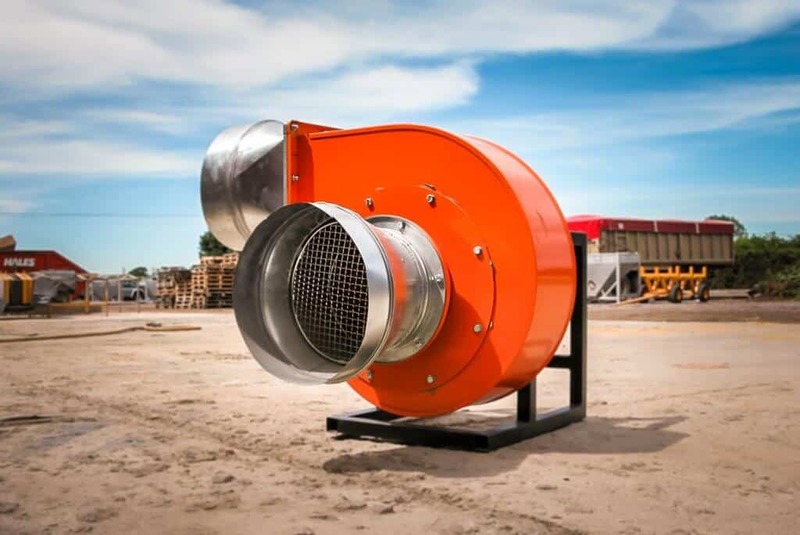 In addition, by utilising a silencer, the unit can provide powerful dust extraction on sites where noise break out levels are tightly controlled. Small portable extractor fans giving 500 to 2500 cfm rating are also available - 240 or 110 volt - 0.5 to 1.5 HP. These are perfect for ventilating tanks or other enclosed spaces as they are small and lightweight. They can be used with flexible hoses to reach particularly tricky areas. Dust-retaining socks can be supplied on request and we also supply socks to fit your existing unit. Our portable dust extractors are also designed to prevent exposure to dust when you come to empty the bin into a skip. Our portable dust extractors allow you to drop a plastic bag into the collection bin by equalising the pressure between the bin and the dirty side of the extractor. This means that the bag can be sealed with a tie-wrap prior to disposal so that the operator is not exposed to dust when it comes to emptying the collection bin. 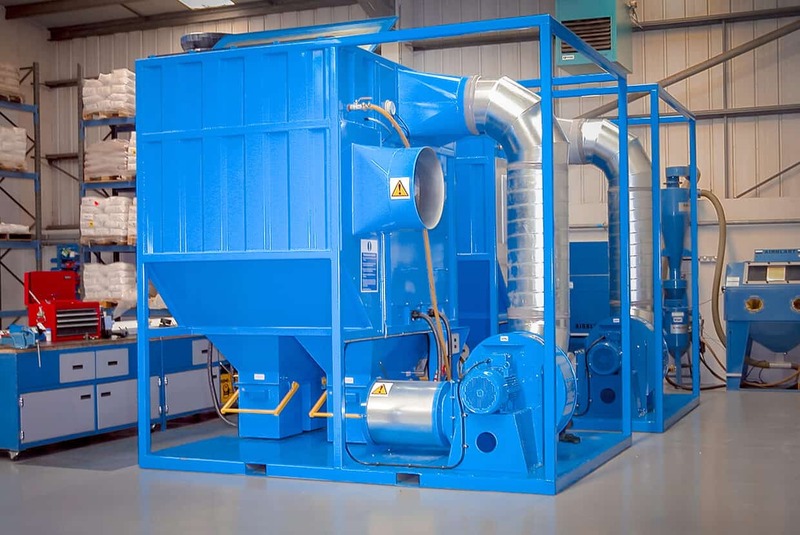 For more information on our portable dust extraction systems please call our team on +44 (0)1778 560 650 or continue browsing the site to learn more about our cartridge filters, shaker filters and methods for dust extraction systems. The Airblast Eurospray Filter Modules are based on a standard design which results in similar standards of ventilation to a cartridge collection system. Airblast Eurospray's Air Pulse cartridge filters comprise cylindrical felted fabric filter elements with internal zinc coated wire support frames.